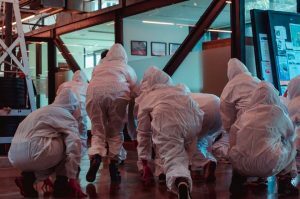 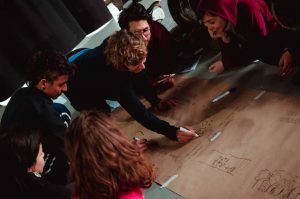 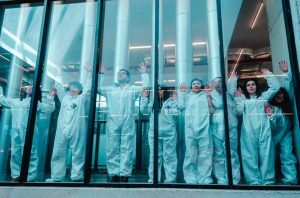 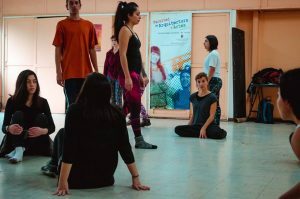 This intensive course held at the Architecture Faculty of Universidad Austral de Chile with students from architecture, music, visual arts and independent artists of Valdivia was organized by the University’s own interdisciplinary performance group Cuerpo. 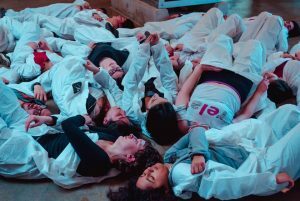 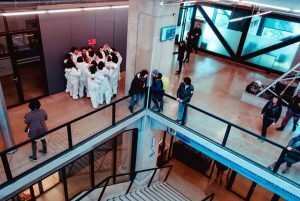 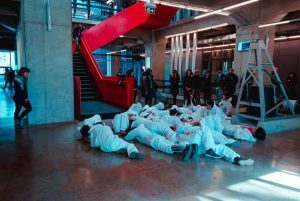 Every day the students worked both physically and through readings and conversation of the topic of embodiment, composition in space and spatial theory in realition to an urban environment. 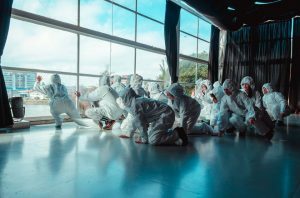 The week concluded in an performance intervention at the Science Faculty of UACh.